Investing in startups used to be limited to venture capitalists and Wall Street, and to big, so-called accredited investors. If you were lucky enough to qualify as a friend or family member, you might be able to buy pre-IPO shares before a startup went public. 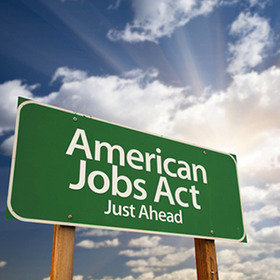 That started to change in 2012, when Congress passed the JOBS Act. True to its name, it is intended to Jumpstart Our Business Startups by easing securities regulations for small businesses. Two parts of the act—called titles—are particularly important for people who want to invest in small business startups. Crowdfunding has been around for a while. The sale of war bonds and the campaign to raise money to build a base for the Statue of Liberty are just two examples. The concept of equity crowdfunding caught on as a way for businesses to raise capital with the appearance of crowdfunding websites like Indiegogo and KickStarter. What Title III of the JOBS Act does is expand the pool of investors eligible to participate in equity crowdfunding internet portals, and to make it easier for startups to use equity crowdfunding. This part of the JOBS Act expands the SEC’s Regulation A, by exempting more small businesses from having to register with the SEC before issuing equity often called Reg A+, Title IV creates two tiers of security offerings. Tier 1 allows companies to raise up to $20 million in any 12-month period with minimal ongoing SEC reporting requirements. The company, however, must register and comply with the applicable state securities laws in each state where it offers the securities. Anyone can invest in a Tier 1 offering and there is no limit in the amount you can invest. Tier 2 allows companies to raise up to $50 million in a 12-month period. The offering circular must be filed with the SEC, but there is no requirement to register or comply with state laws. Again, anyone can invest, but there are limits to the amount: individual investors can invest a maximum of the greater of 10% of their net worth or 10% of their net income in a Reg A+ offering (per offering). Both Tier 1 and Tier 2 offerings can be advertised by the company and both allow the company to “test the waters” to gauge market interest before producing an offering circular. 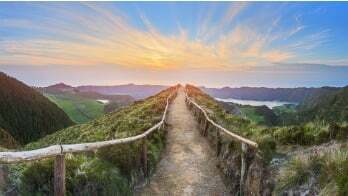 This kind of investment may be best suited for self-directed IRA account holders. Getting in on the ground floor of the right startup, may pay high dividends for your retirement plan. Make sure to consult with your tax advisor and/or legal advisor before proceeding with any investment. To open an account with Entrust, a representative will be happy to talk with you about how the process works in a free consultation. If you’re ready to get started now, you can open an Entrust Self-Directed IRA online in less than eight minutes on our secure, easy-to-use website. If you want, you can read all about the JOBS Act on the Securities and Exchange Commission’s website. Bill Neville is currently the Business Development Manager for Entrust’s San Francisco Bay Area office.